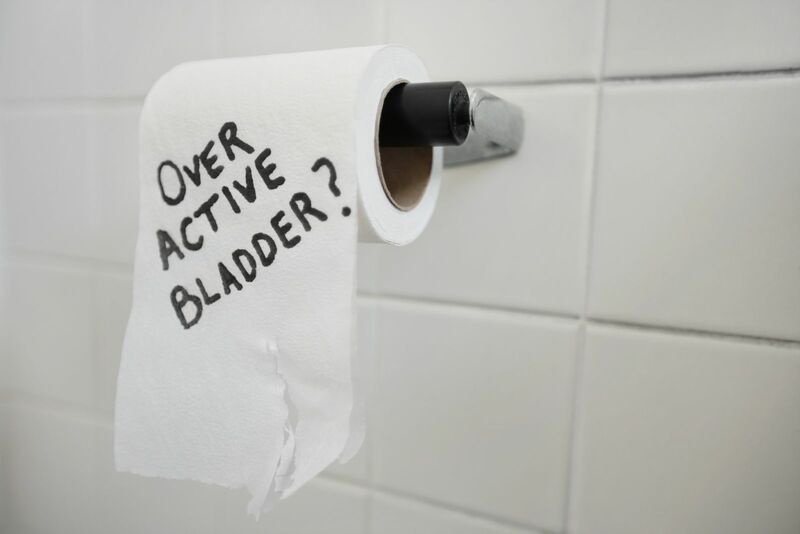 An overactive bladder (also known as urge incontinence) causes a sudden urge to urinate, even when your bladder isn't full. For some people, it's simply a nuisance. For others, the urge can't be controlled, which leads not only to incontinence but also to a potentially severe negative impact on their quality of life. Bladder training can go a long way toward helping with urinary incontinence. This treatment strategy for incontinence involves learning to urinate on a schedule (timed voiding) and doing pelvic muscle exercises. Keep a diary. For a day or two, keep track of the times you urinate or leak urine during the day. Calculate. On average, how many hours do you wait between visits to the bathroom during the day? Choose an interval. Based on your typical interval between needing to urinate, set your starting interval for training so that it's 15 minutes longer. So, if you usually make it for one hour before you need to use the bathroom, make your starting interval one hour and 15 minutes. Hold back. On the day you start your training, empty your bladder first thing in the morning and don't go again until you reach your target time interval. If the time arrives before you feel the urge, go anyway. If the urge hits first, remind yourself that your bladder isn't really full, and use whatever techniques you can to delay going. Try pelvic floor exercises (also called Kegels), or simply try to wait another five minutes before walking slowly to the bathroom. Increase your interval. Once you are successful with your initial interval, increase it by another 15 minutes. Over several weeks or months, you may find you are able to wait much longer and that you feel the urge less often. After four to eight weeks, if you think you have found some improvement to your incontinence, do another diary. Compare your initial diary to your second diary to note the improvements in your intervals and the amount of urine you void. The act of reviewing and comparing actually helps reinforce the bladder training process. For more ways to keep incontinence from getting in the way of doing the things you love,review Better Bladder and Bowel Control, a Special Health Report from Harvard Medical School.